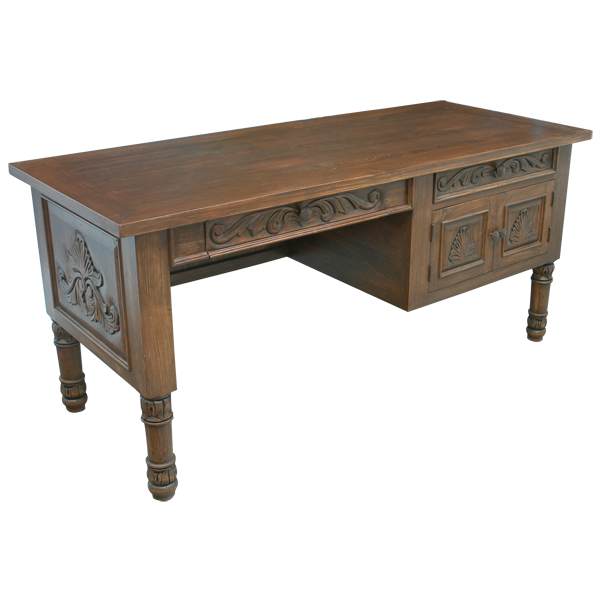 This handcrafted desk will provide both beauty and functionality to your home décor. Under the top rim are three drawers of various styles and sizes. 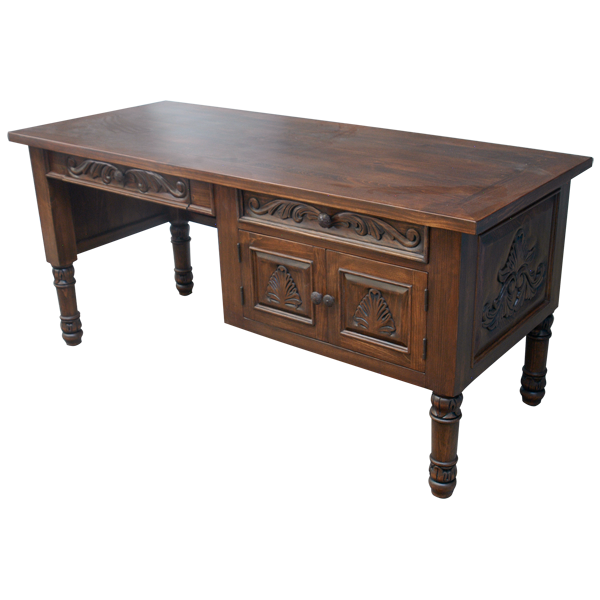 On the left is a drawer with a hinged front, and the front of the drawer is adorned with ornate, hand carved, floral designs. On the right is a small, rectangular drawer with lovely, hand carved, floral designs on its front, and under the drawer is a cupboard with a rectangular cut designs. All of the drawers have a hand forged, iron pull handle. 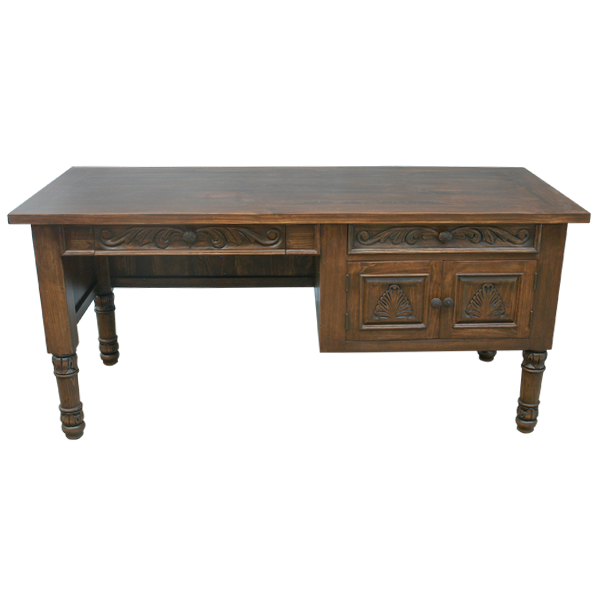 Each lateral side has a rectangular cut panel with exquisite, hand carved, floral designs in its center, and the desk rest on hand turned legs. 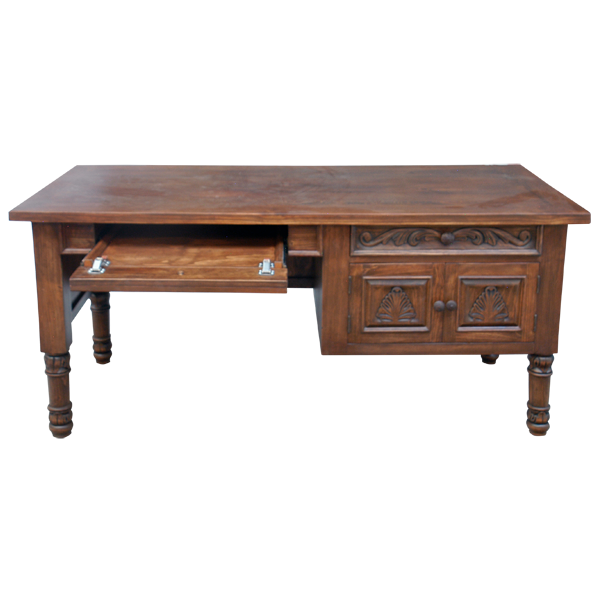 It is made with the best, sustainable, solid wood available, and the desk is 100% customizable.